If you’re interested in starting a travel blog, the below is for you. I’ve been blogging since 2009 myself and I wanted to use my experience to help others set up their own blog as quickly and easily as possible. 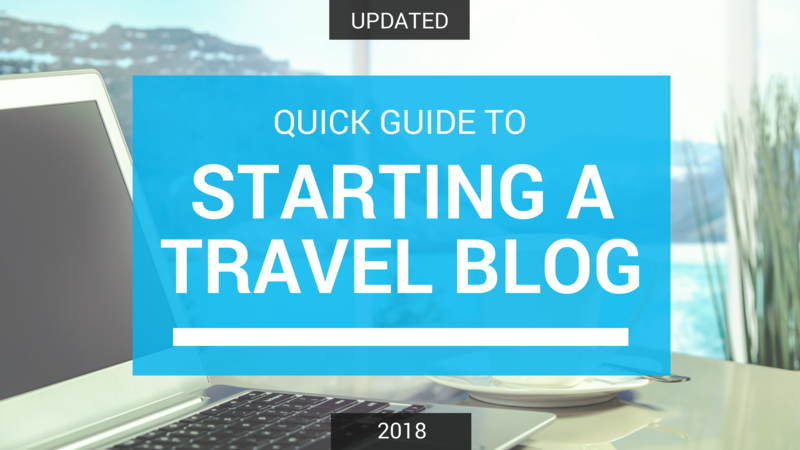 The below guide will take you step by step through the process and by the end, you’ll be all prepared to move forward with your travel blogging adventure! This is the first question that needs to be asked before starting a travel blog. Do you like to write? Do you want to share some kind of knowledge? Do you just want to try something different? Do you hope to make it a business? Whatever it is, it’s important to know ahead of time why you’re getting into this. If you know why you’re doing it, you’ll have a stronger foundation to rely on as you move forward. Personal example: After blogging for 5 years, I became overwhelmed trying to think of new ideas for blog posts. It started taking 2+ weeks to write a post and the quality wasn’t very good. Eventually, I remembered my motivation for starting a travel blog back in 2009 – to use my travel experiences to help others achieve their own travel goals. This allowed me to re-focus and get back on track quite quickly. Why would other people follow your blog? What can you offer? What will you write about? After all, there needs to be a reason why others would want to follow your blog. They need to learn something, be entertained or challenged or simply find something really unique. Also, when it comes to travel blogging, it’s better to focus on one particular niche that you can do really, really well. Maybe it’s ultra-budget travel or spa travel or camping in remote regions or vegetarian street food and so on. Of course, it depends on your own experiences, interests and knowledge but focusing on something specific is how you’ll gain a loyal and engaged audience. Personal example: I’d been traveling for 11 years when I started my blog. As a result, my niche became knowledge and experiences from my life of constant world travel. And while I do veer off that path from time to time, that always remains the main focus of my content. It’s specific, it’s something I really know about and it’s interesting to a large number of people. You need a domain name (blog name/URL, such as WanderingEarl.com). And if you’ve already begun thinking about it, chances are you’ve been thinking about it for a while trying to find that ‘perfect’ domain name. Yes, the domain is important, it should be easy to say, it should flow, it shouldn’t be crazy long and it should give a reader some indication about what your site is all about. At the same time, don’t go insane with this. Personal example: It took over a month for me to choose a domain. I had lists of options that I sent to everyone I knew over and over again. I wanted to be funny and cool and quirky and perfect. However, eventually, I said ‘screw it’, made a list of 5 decent ideas and sent it to my mom. I went with the winner – WanderingEarl.com. Does it explain what my site is about? Sort of. But it flows well and sounds pretty good. And it’s worked. So again, don’t worry too much about this. You can make any domain name/website name work as long as you stick to those simple principles above – easy to read, flows decently, not too long and at least gives a general idea of what the site is about. Once you have dealt with the above, it’s time to take the next step in starting a travel blog – setting up the actual website. This means registering your domain name and signing up for website hosting and then building your blog on WordPress. If you’re not familiar with web hosting, this is the service you need to actually store your website (and all of its files) on the internet. You can’t have a blog or website without website hosting but luckily, it’s quite easy and inexpensive to arrange. And when you sign up for a hosting account, you typically get to register the domain name you chose above for free because if you don’t register the domain name, you can’t use it. *Bluehost is one of the largest website hosting companies out there, their rates are as low as it gets ($3.95 per month and up) and I’ve personally been using them for over 7 years without any issues. Highly recommended. 2. Click the green “Get Started Now” button. 3. Choose your hosting plan – Basic, Plus, Prime or Pro. Personally, I recommend getting the Basic plan because you can always upgrade as your blog/website grows and there’s no reason to spend the extra money before then. 4. Enter the domain name you want to register (again, Bluehost includes a free domain name with every new hosting account). 5. Enter your personal information, confirm your payment details and you’re all good to go! At this point, you need a platform where you can design and create the actual blog. My recommendation is WordPress.org. WordPress is the most widely used platform and to be honest, it’s the most ideal for bloggers and all kinds of websites. It’s easy to set up (as you’ll see below), easy to maintain and it has the flexibility to keep up with your growth as a blogger/business. Sure, there are other platforms but it’s extremely rare to find a successful blog that is on a platform other than WordPress. 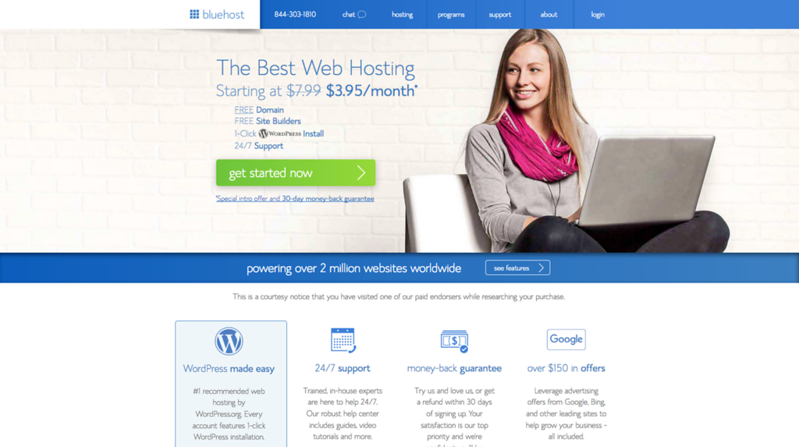 So, once your payment above goes through for your Bluehost web hosting account, you’ll be taken to a page that allows you to set up WordPress with just a few clicks. 5. 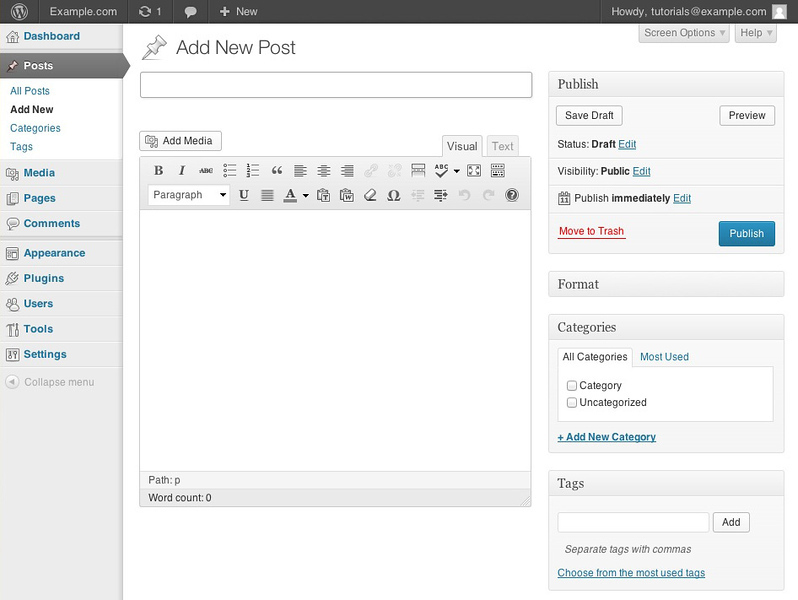 You now have WordPress and you can start blogging! 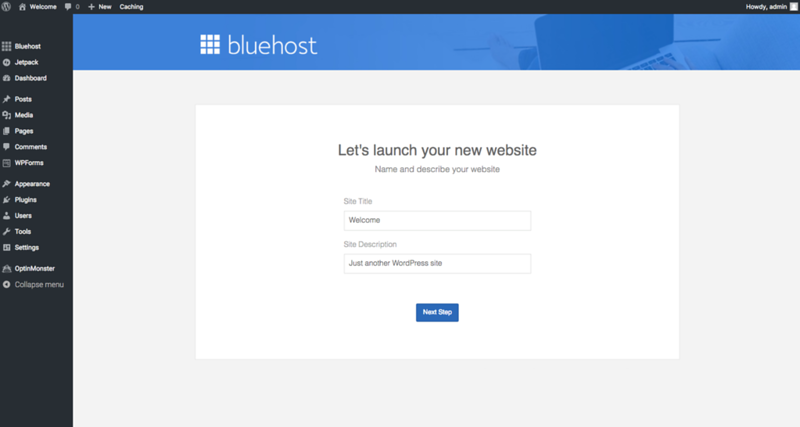 *To start customizing your blog design and adding posts and pages, simply click on the “Log in to WordPress” button on your Bluehost admin page. The way WordPress works is through ‘themes’. 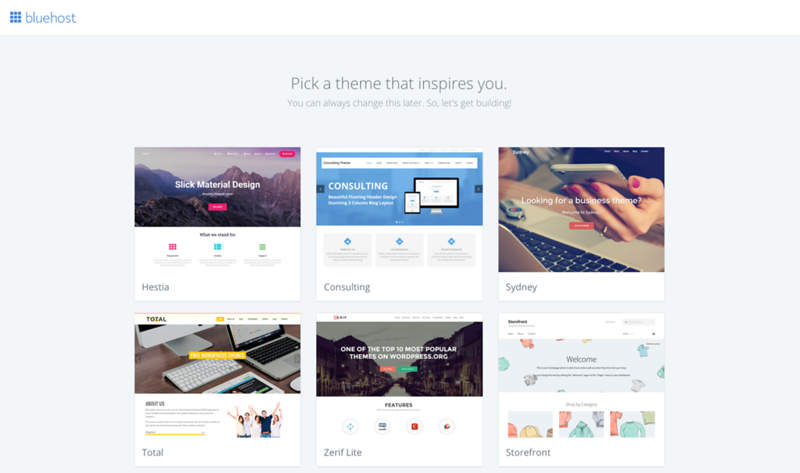 There are thousands and thousands of themes out there, some for free, some that cost money. Every theme, which is basically a pre-made website design that you can upload and start using right away, has it’s own set of features, with some much more customizable than others. 2. Click on a bunch of themes, learn what they each can do and start to get comfortable with the features, benefits and downsides of different themes. 3. When you find a theme you want to try, download the theme file to your computer. Take your time, click on things, see what each section does and how it changes the look of your blog. Starting a travel blog involves some experimentation so if you spend a couple of days just playing around with your theme, you’ll quickly figure out how to make changes and how to make your theme look better. Again, it takes time but it’s something that anyone can easily learn. Also, keep in mind that you can always change your theme at any time and you can always customize your theme at any point, too. For example, I’ve used 4 different themes over the years and I’m making constant changes to my current one as I see things that can be improved and as I add more information and sections to my blog. Hire a web designer – If you don’t want to mess around with this design stuff at all, you can always hire a designer that can create the layout and ‘feel’ you’re looking for. If you’re in need of a quality designer, send me a message as I have some great, very affordable web designer contacts. 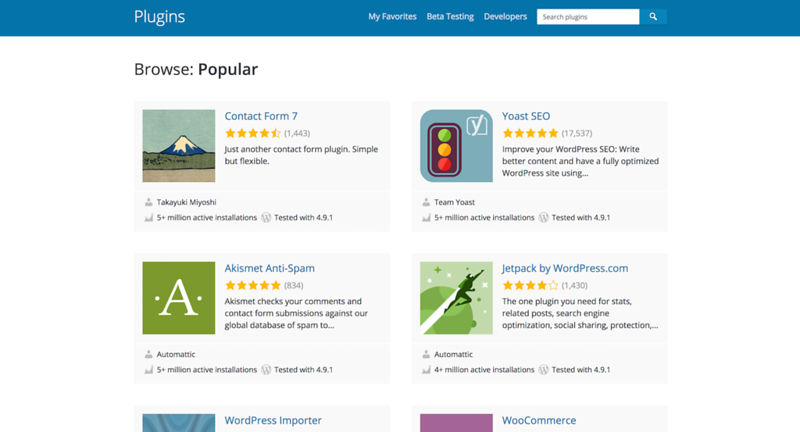 Plugins – These are specific functions that you can download and add directly into your theme. For example, you can download a plugin to give your site extra security or to add a slideshow to your homepage or to add social media sharing buttons after each post and on and on and on. There are literally thousands of plugins. Write posts, make videos, add photos, start creating content. Now here’s the thing though…don’t try and make your first post ‘perfect’. In all honesty, nobody is going to see your first post or your first few posts for that matter. Here’s my first post: A Toast to My Kelty Redwing 2900 Backpack. It’s really not a great post, but that’s okay because I had no idea what I was doing. So, starting a travel blog involves writing and more writing, trying out various styles, getting comfortable and creating lots of content until you feel good about what you’re building. Again, remember why you started blogging in the first place and also remember what you want to offer your readers. Sticking to that original foundation will make your blog more attractive to a specific audience. Finally, without a good amount of content on your site, new visitors won’t usually stick around. So you need to get a couple of dozen posts up there before you try to promote your blog. Hopefully by the time you reach that amount, you’ve found your ‘voice’ and you’re producing some seriously useful or entertaining content that will keep those that land on your site coming back for more. And that’s really how it all begins. 1. Don’t make things too complicated. I’ve said it above and it really is important to avoid overthinking things. The key is to just get started. You won’t get things 100% right from the start. That doesn’t happen with any endeavor. For now, focus on creating quality content, not on the technical details of your blog. An ultra-simple blog with quality content is far better than a fancy blog with low quality content. It’s as simple as that. 2. Immediate success is very rare. Will you have 100,000 readers a month after starting a travel blog? Nope. But don’t let that get you down. If you offer value, if you don’t try to earn money from day one, if you network with others and foster a genuine, engaged audience, you’ll achieve the success you’re hoping for in due time. Blogging isn’t a ‘snap your fingers’ ticket to nonstop world travel or earning boatloads of money. It’s an intriguing opportunity that can help you live a lifestyle that many dream about, if it’s done correctly. 3. Be human. You’ll start coming into contact with a ton of people online – new readers, other bloggers and so on. And the one thing that can really kill the potential benefit of all these interactions is when we forget to be human. Be yourself, at all times. Don’t send out copy/paste pitches to try and promote your new blog and avoid trying to get something from everyone you connect with. Communicate in a personal, honest way and let the benefits from that genuine communication come your way. 5. Determination is key. Honestly, determination is what will make you successful with your new venture. Like anything, travel blogging has its ups and downs and when you’re just getting started, there will be plenty of hurdles to overcome. But if you stay determined and are always willing to learn as much as possible and improve, there’s no reason why you can’t find success in travel blogging. Bloggers that don’t make it are usually those that simply give up. For those that push through the obstacles, success will eventually arrive. Of course, all of what I just wrote is just the basics. There is plenty more to understand about starting a travel blog but that all happens as you move through the process. For now, just follow the above, get your blog off the ground and continue learning as you go…and don’t forget to enjoy the experience as well! If you really want to jumpstart your blog and be on the road to success much more quickly than if you try to figure everything out on your own, I can highly recommend Nomadic Matt’s The Business of Blogging Course. 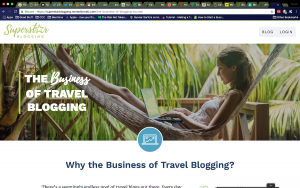 It’s simply the best course on starting a travel blog (beyond the basics above) and it was created by one of the biggest and most successful travel bloggers out there. The course is full of lessons, videos, resources, communities and knowledge that is beyond valuable when it comes to achieving your blogging and/or business goals. That’s my quick guide to starting a travel blog. As always, if you have any questions at all, just send me an email and I’d be more than happy to help out as best I can. In the meantime, welcome to the world of travel blogging!